This artwork has a hobo/clown/Santa combination. What could be greater? 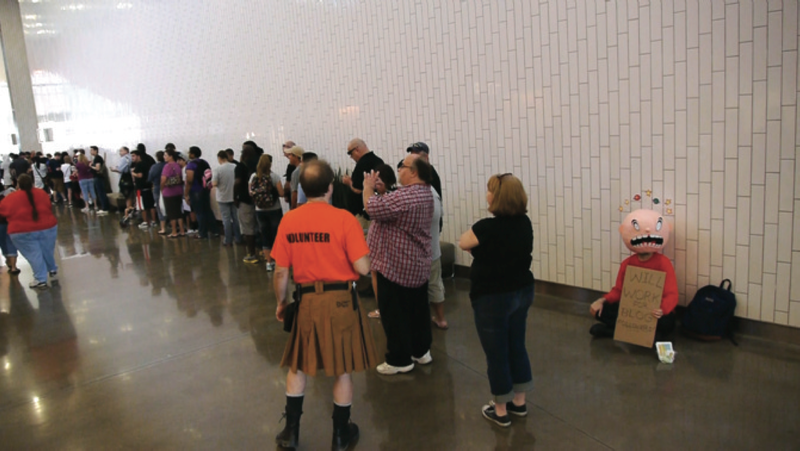 The convention last Saturday was a fun experiment in human behavior. I sat down at the end of a freebie line with my sign and money dish, acting like a hobo. Most of the people in the line treated me like a real homeless person! They stared straight ahead, and wouldn’t look at me, for fear that I would talk to them, and possibly ask them for money. Weird! Don’t be afraid folks-it’s just cosplay! 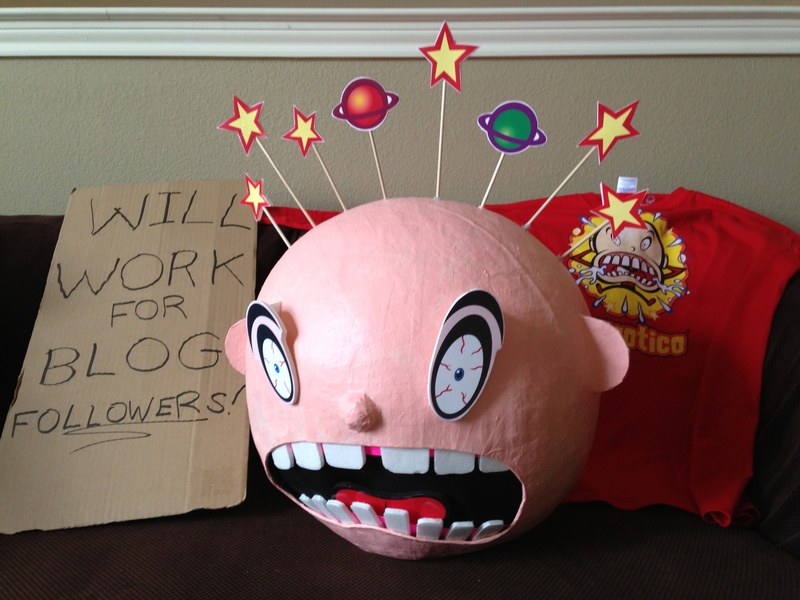 I just broke out the hot glue, and dusted off my Neurotico costume for the free Dallas ComicCon Fan Appreciation Day convention this Saturday in Irving, Texas! After minor repairs on the paper mache head, and some Fabreze sprayed on my clothes, I am ready to go! 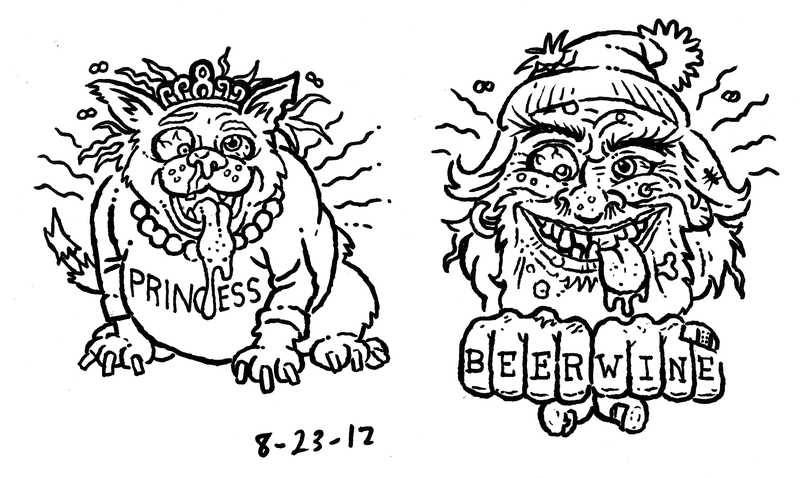 Too much birthday cake and diet soda inspired these fine characters… which would you like to come live with you? Princess, or the Hobo?